These seeds are carefully spaced in biodegradable paper to allow even spacing and virtually eliminate the need for thinning. Basil is one of the most popular herbs. Great for Mediterranean dishes, it imparts a mild aniseedflavourto salads and soups, wonderful with tomatoes. Half hardy annual with heightapprox.30cm(12in). 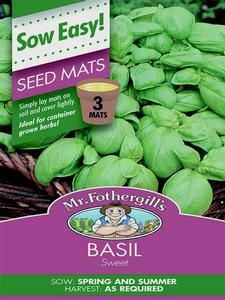 We hope you enjoy these basil seeds, just another great example of herb seeds from MrFothergill's! Seed Tapes and Matsare so easy, onlyThree Easy Steps. Simply fill a 9cm (3 ½”) round pot with soil mix leaving a 1.5cm (1/2”) gap from the top of the pot for easy watering later on. 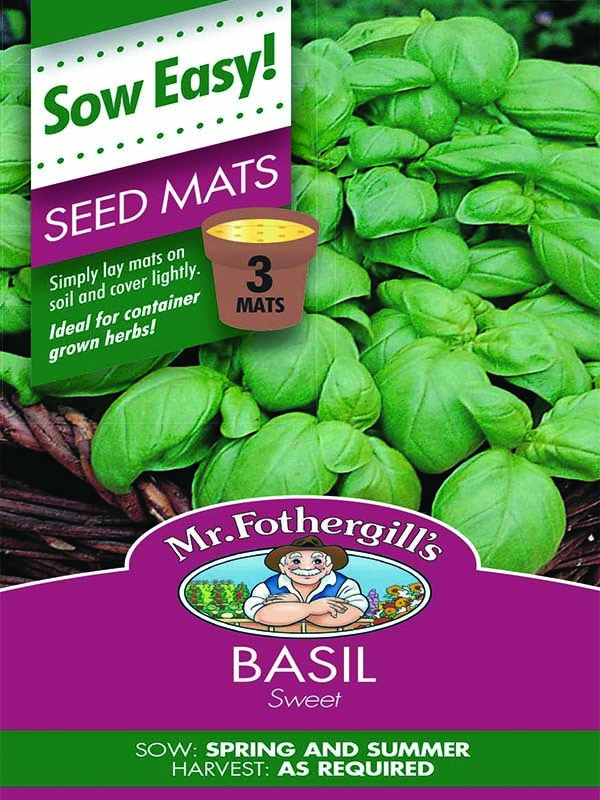 Place the mat on the soil and firm down gently. Cover with a fine layer of soil, water well. Place in a warm position, a temperature of 15-20°C is ideal. Keep moist. Plants can then be grown on a sunny windowsill or patio.